New Delhi: The Centre Tuesday issued a ‘Leave India’ notice to Bangladeshi actor Ferdous Ahmed and cancelled the business visa given to him for allegedly campaigning for a Trinamool Congress candidate in West Bengal, officials said. Ahmed has also been “blacklisted” by the Union Home Ministry, thus jeopardising the chances of his future travel to India. “After receiving a report from the Bureau of Immigration regarding visa violations committed by a Bangladesh national, Ferdous Ahmed, the home ministry has cancelled his business visa and issued him a Leave India notice. He has also been blacklisted. The FRRO Kolkata has been directed to ensure compliance of these orders,” a home ministry official said. 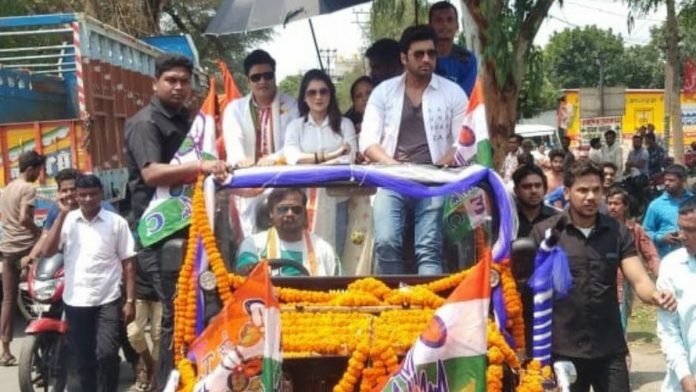 Ahmed, along with a few Indian actors, allegedly took part in campaigning for TMC’s Raiganj candidate Kanhaiyalal Agarwal.